Our boatman Joe was back with his warning one more time. It was hard for me to keep my mouth shut, though. No, I’m not a big talker and wasn’t looking for any small talk. It was the world that was in front of my eyes that had left me in awe. 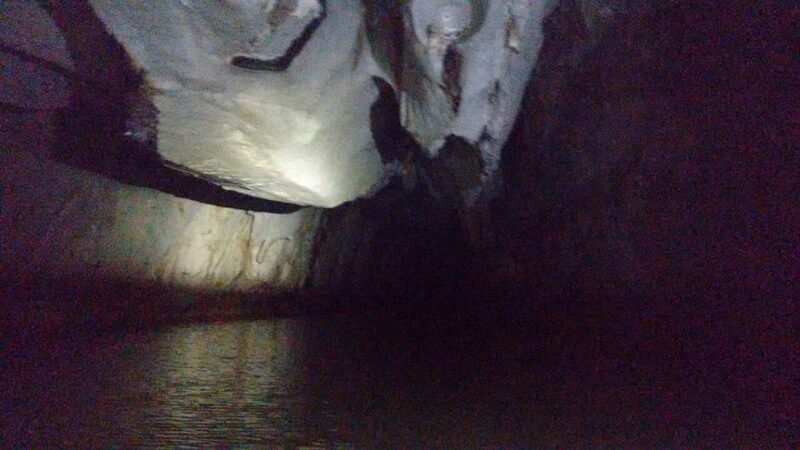 However, my lucky spree continued, and I was on a boat journey that had begun in Puerto Princesa underground river at the Subterranean River National Park, in the Palawan province. A river running for 8.2 kilometres in complete darkness was ahead of me. The only available source of light was from some of our torches on our mobile phones, which seemed very feeble inside this vast dark world. Joe’s head light provided some insight, and the visibility entirely depended on his will. We could only see where he focussed. Close your eyes and picture this – a cave topped by a series of rocky mountains above as roof, the floor of the cave a river running for miles ahead in front of you. The world that has never seen the sunshine, and will probably never see (unless the Homo sapiens decide to intervene), inhabited by thousands of living creatures – giant monitor lizards, python, sea snakes, birds, worms, mammals, and plants, all dwelling in absolute darkness. The underground river was an unexpected discovery to humankind. Found as recently as in the late 90’s, Puerto Princesa underground river is one of the new seven wonders of the world, and is a UNESCO world heritage site. It stretches for over 8 km. But, only over 4 km is navigable, the rest still hidden away from the world that we know. Why is the Underground River Special? What makes it truly spectacular is nature’s formation inside the cave. The gorgeous natural limestone karst landscape that is the heart of the cave is a unique creation of nature. It has a great mountain-to-sea ecosystem, meaning nature has created a wildlife with perfect biodiversity to thrive, without being endangered. Thick forests, mountains and the river encompass thousands of creatures – most of which is away from the sunshine, remains protected in this Palawan province. Another striking feature is that this underground river directly flows to the sea – which means that the sea tides have a direct influence. In fact, all the nature’s activities have a direct impact. If the tides are high, the inflow underground rises to lengths inside the caves. When this happens, it becomes impossible to navigate through the underground river. Loud gasps of wonder echoed below the rocks as our boat faded away from the sunlight and transcended to the world underground. There were rocks everywhere above our head, some of them even reaching the deep waters of the river. We saw formations of rocks in all shapes and sizes. At about a kilometre, there stood a huge stone that emerged in the centre, surrounded by water and hanging cliffs on all sides. For some reason, it reminded me of the humans-meet-aliens movie Prometheus, and I compared the scenes in my head. God, it looked quite similar! I was left awestruck by the power of creation, and mother nature’s wonders as the 45-min ride through one of the unusual natural formations came to an end. The afternoon rays of the sun kissed welcome to our boat. I bid my bye to the world behind me. I rubbed my eyes, adjusting to the sudden sunlight that shone as I got back to our world. But my mind still drifted at the sights that I had witnessed. They would undoubtedly remain with me for long. How to Reach the Underground River? Your trip to the underground river starts at the Subterranean River National Park. 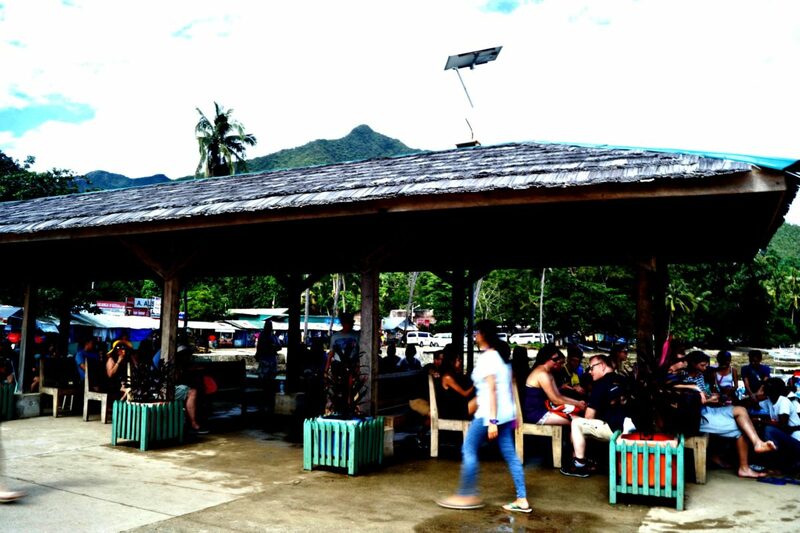 It is located at Sabang, a small town about 1.5 hours away from Puerto Princesa. 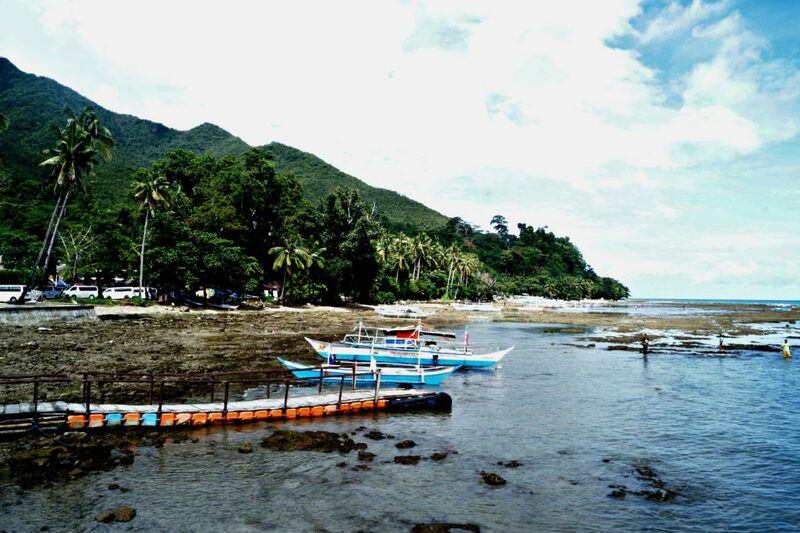 There are some public transportation options to reach Sabang, or you could book a day’s trip to the underground river. It costs about 1000 to 1200 pesos depending on your bargaining, which includes transportation, permit fees and lunch. 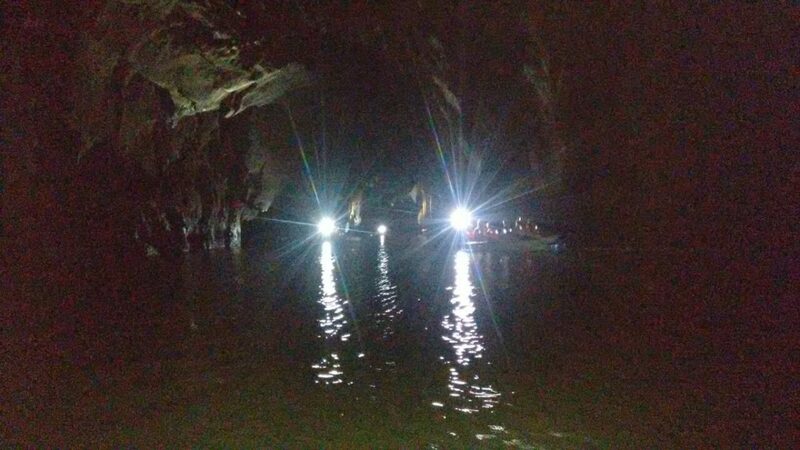 Can You make the Underground River Trip by Yourself? If you have plenty of time and you want to save some money, you can try making the Puerto Princesa underground river trip by yourself. Since I bought the package, I can’t speak for that. One of my friends Aleah, a travel blogger from the Philippines, has written a very informative post on making the trip by yourself. It has all the details including how to prepare for your journey. Check out her blog post here. 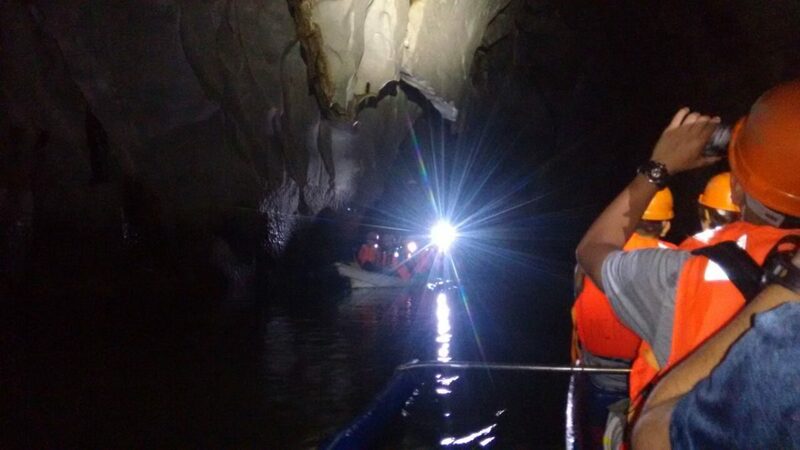 *It’s better to start your trip to the Puerto Princesa underground river early. There is a big waiting line usually, and you need a permit to make the journey. Obtaining this permission and waiting in the queue for long could be avoided early in the morning. *Also, there are many other activities to explore, including the zip-lining, which is super fun. You get time to explore Sabang on the same day after this river trip. *Check the weather before you plan your trip, at least a day prior arriving. Although you can never anticipate the sudden climate changes, you could still save some time and money. *Don’t forget to pick up the audio guide that they provide and intently listen as you sail through. It is very detailed and makes your experience even more enriching and deep.